(from left to right) Nadeya Afredi, our Medical Clinic Quality Analyst; Our Medical Clinic Director Dr. Norris,; Director of the County of San Diego Health and Human Services Agency Nick Macchione and Our President and CEO Deacon Jim Vargas at the Live Well Awards Ceremony. On April 7, President and CEO Deacon Jim Vargas was honored to accept the Live Well San Diego 2017 Public Health Champion Award on behalf of Father Joe’s Villages. Given by the County of San Diego’s Health and Human Services Agency, the award recognized organizations who demonstrate extraordinary achievement in promoting the health of community members living in San Diego County. Nominees exemplify excellent leadership in public health, working to build safe communities and demonstrating continual efforts to improve health and wellness in San Diego. 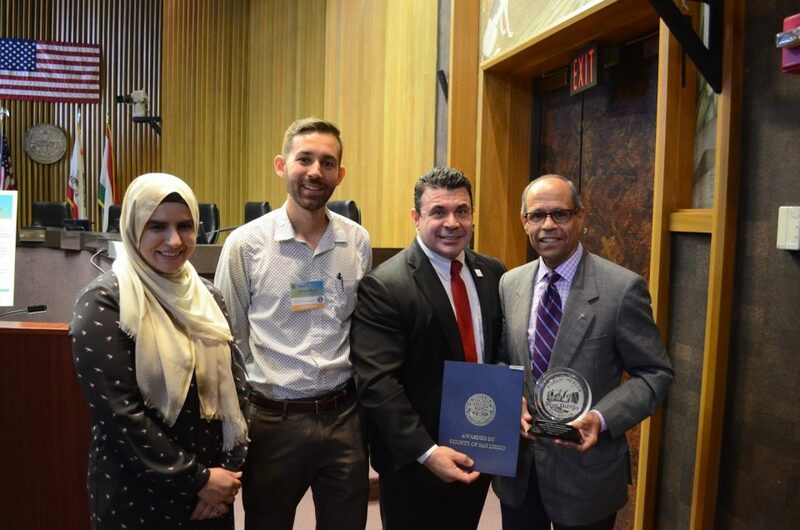 “[Awardees] are individuals and organizations who work to improve their communities and their contributions help to protect and improve the overall quality of life of our citizens,” said Chairman Bill Horn of the County Board of Supervisors. 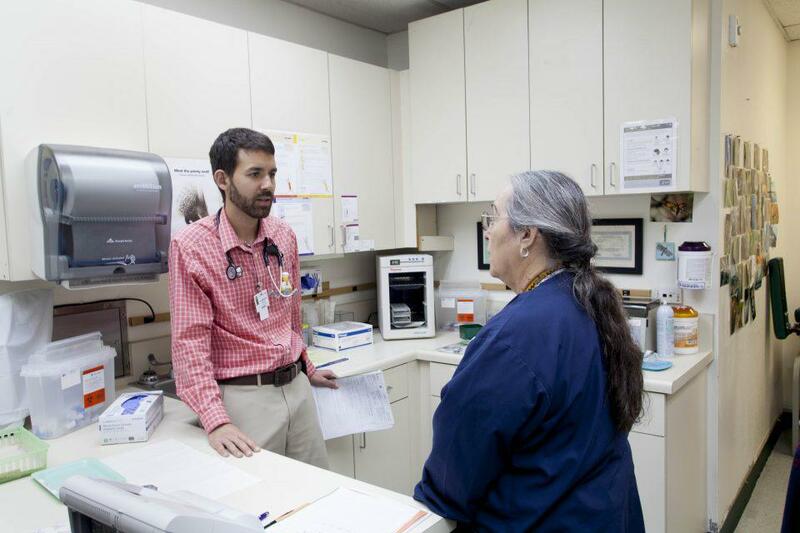 We at Father Joe’s Villages aim to increase community health in a number of ways. Many homeless individuals live with chronic health conditions, disability and mental illness. The Village Family Health Center, a federally qualified health center, provides affordable healthcare to such underserved populations. Partnered with UCSD Combined Residency program, our residents practice both family medicine and psychiatry in order to simultaneously address a client’s physical and mental health. Specialists also provide dermatology, optometry, ophthalmology and gynecology. In addition to providing medical care to neighbors in need, Father Joe’s Villages encourages holistic mind and body health through our Village Health and Wellness programs. Village residents are able to participate in a variety of physical and creative activities, such as yoga, tai chi, hiking, music and art. These programs provide an outlet for individuals who are often undergoing stressful life-changes and overcoming difficult employment, addiction, mental illness and physical health barriers.